Zebryk says Fairhope has the “best sunsets in the world...Lots of family events, including holiday parades, movies in the park and First Friday Art Walk.” The town is full of history and “jubilees.” A jubilee is the local name for a natural phenomenon that sporadically happens usually from June to September on the shores of Mobile Bay, a large inlet of water on Alabama’s Gulf Coast. Jubilees are celebrated, attracting large crowds who come for the abundance of easy-to-catch seafood that comes to the shoreline. Cindy Zebryk is a Coldwell Banker Global Luxury specialist and is a Certified Luxury Home Marketing Specialist, and awarded the Million Dollar Guild recognition based on outstanding performance in the million-dollar-plus luxury home market. 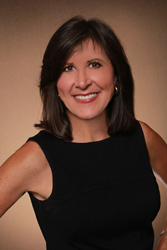 She specializes in coastal waterfront homes, golf course homes, condominiums, retirement/second homes and land. She is the #1 Agent for CBRP for the past 4 years. For more information, please call (251) 680-7964, email cindyzebryk@gmail.com or visit http://www.realtorcindyz.com.